In order to meet the challenge of climate change while allowing for continued economic development, the world will have to adopt a net zero carbon energy infrastructure. Due to the world’s large stock of low-cost fossil fuels, there is strong motivation to explore the opportunities for capturing the CO2 that is produced in the combustion of fossil fuels and keeping it out of the atmosphere. Three distinct sets of technologies are needed to allow for climate neutral use of fossil fuels: (1) capture of CO2 at concentrated sources like electric power plants, future hydrogen production plants and steel and cement plants; (2) capture of CO2 from the air; and (3) the safe and permanent storage of CO2 away from the atmosphere. A strong regime of carbon accounting is also necessary to gain the public’s trust in the safety and permanence of CO2 storage. 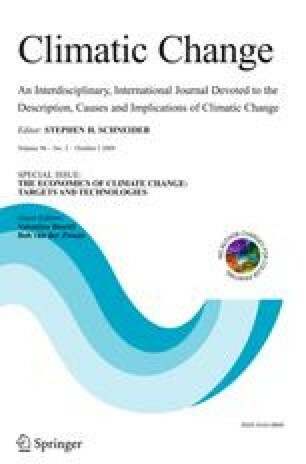 This paper begins with an extensive overview of carbon capture and storage technologies, and then presents a vision for the potential implementation of carbon capture and storage, drawing upon new ideas such as air capture technology, leakage insurance, and monitoring using a radioactive isotope such as C-14. These innovations, which may provide a partial solution for managing the risks associated with long-term carbon storage, are not well developed in the existing literature and deserve greater study.